Rai is a Psychology student at Newport University so she qualifies for my Welsh blog post :) I adore her cute, quirky sense of style. 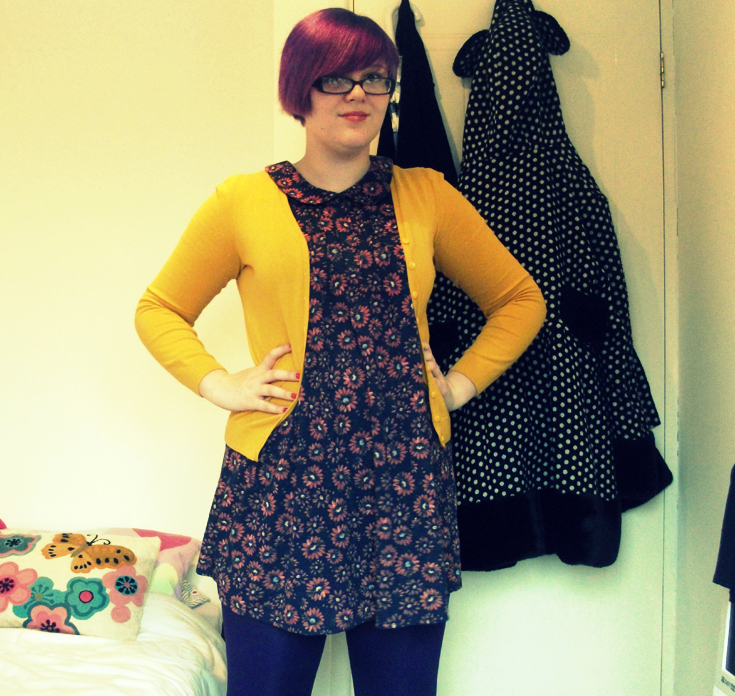 She mixes patterns and colours and is almost always to be found in a dress like me (I just don't do trousers). Her blog highlights her individual style, great photography and also showcases her brilliant illustration skills. You can get your own rag doll on her blog for less than a Starbucks and I think they would make a great present for someone. Beth lives in South Wales, she is 23 and lives with her boyfriend and two cats. I love the way Beth creates a really polished, well thought out look by combining great vintage pieces with items from the high street. Beth inspires me to mix up looks and try out things I wouldn't normally dream of wearing like midi skirts and I even bought a boater hat in the summer for Reading Festival. Beth's blog has some great features, one is Tuesday Treats which never fails to brighten up my day. Who doesn't love a collage of hotties? I also love her weekly round up which includes photos of what she has been discovering and enjoying throughout the week. Miss P is a vintage enthusiast living in Wales. Her blog has a good mix of all of my favourite things- outfit posts, home-baking and charity shop/car boot bargain finds. I am very jealous of Miss P's hair, she does a very good victory roll and I love her 40s/50's housewife inspired look. I also enjoy the posts detailing all Miss P's exciting excursions to the seaside, countryside and tea rooms across the UK and beyond. It really is a delightful blog and I urge you to go and check it out here. Do you know any other great Wales based blogs I should be reading? Is there a great network of bloggers in your town or city? She knits things and lives in West Wales. I can't take the credit for the victory rolls in one of the pics in my new banner - I had some help from the Lipstick and Curls girls!! Thanks for stopping by! I love Rai she is so stinking cute. I will have to check out the other blogs after I stalk yours for a few...LOL! All these girls look fabulous!